Clth, 9.75 x 12 in. / 120 pgs / 80 tritone. Introduction by James L. Enyeart. Text by Shelby Lee Adams, Catherine Evans. 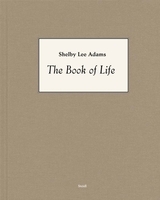 Shelby Lee Adams first encountered the communities of the Appalachian mountains as a child, while accompanying his doctor uncle on his rounds. In the mid-1970s he started to photograph in the region, using a 4 x 5 camera, gaining and building a special trust among its often impoverished people, who have tended to not always welcome would-be documentarians. Adams not only records their lives and hardships with great empathy, but also depicts the grace and humanity of his subjects, photographing with an ease evident in the results. Salt and Truth is Adams' fourth monograph, and presents 80 new photographs taken mostly over the past eight years. The photographs in this collection are of children and animals, of working people and of a way of life rarely glimpsed by photographers. Shelby Lee Adams (born 1950) is an American photographer renowned for his environmental portraiture, primarily in the Appalachian mountains of eastern Kentucky. Adams' work has been featured in three monographs: Appalachian Portraits (1993), Appalachian Legacy (1998) and Appalachian Lives (2003). In 2010 he was awarded a Guggenheim Fellowship. Adams' work is represented in many major permanent collections, including the Art Institute of Chicago; the International Center of Photography in New York; Musee De L'Elysee Lausanne in Switzerland; The Museum of Modern Art, New York; The National Gallery of Canada, Ottawa; Stedelijk Museum, Amsterdam; Time Life Collection, New York; Victoria and Albert Museum, London; and the Whitney Museum of American Art, New York. 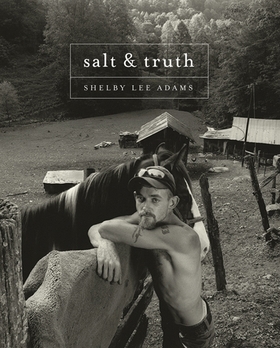 Adams was also the subject of a 2002 documentary film by Jennifer Baichwal, The True Meaning of Pictures: Shelby Lee Adams' Appalachia. 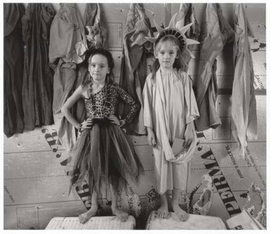 Featured photograph, "Halloween Twins" (2006), is reproduced from Shelby Lee Adams: Salt & Truth. Text by Shelby Lee Adams, John Rohrbach. FORMAT: Clth, 9.75 x 12 in. / 120 pgs / 80 tritone.